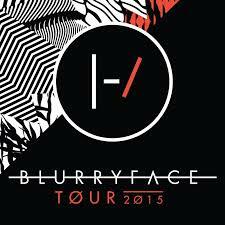 ORLANDO, Fla. – The Blurryface Tour featuring Twenty One Pilots, Echosmith and Finish Ticket will make a stop at House of Blues, on Oct. 8. The tour began on Sept. 8 at Echostage in Washington and it will conclude on Sept. 27 at Red Rocks Amphitheatre in Morrison, Colo.
Tyler Joseph is the lead singer, pianist and songwriter and Josh Dun is the drummer of Twenty One Pilots. They are on tour promoting their 14 track album, “Blurry Face”. The album currently has two music videos. One is for “Stressed Out” and it can be viewed by clicking here. The other is for “Tear In My Heart” and it can be viewed here. To visit Twenty One Pilots official website, please click here. To like them on Facebook, please click here. To follow them on Instagram, please click here. To stream them on Spotify, please click here. To follow them on YouTube, please click here. Sydney Sierota is the lead vocalist, Jamie Sierota is the guitarist, Noah Sierota is the bassist and Graham Sierota is the drummer of Echosmith. The album, “Talking Dreams”, is being promoted. It includes the hit singles “Cool Kids”, “Bright” and “Let’s Love”. The four siblings are based out of Los Angeles, appeared on several television programs and headlined in both the U.S. and Europe. Visit Echosmith’s official website, by clicking here. To like them on Facebook, please click here. To follow them on Instagram, please click here. To follow them on Tumblr, please click here. To follow them on Twitter, please click here. To check out their clips on Vine, please click here. To subscribe to their channel on YouTube, please click here. Brendan Hoye is the lead vocalist, pianist and keyboardist, Alex DiDonato is the guitarist and percussionist, Michael Hoye is the bassist, Gabe Stein is the drummer and percussionist and Nick Stein is the keyboardist of Finish Ticket. DiDonato, Michael Hoye and Stein are backup vocalists. They are promoting their five song EP, “When Night Becomes Day”. The last music video they filmed was “Tranquilize”. Finish Ticket’s website can be accessed by clicking here. To like them on Facebook, please click here. To follow them on Instagram, please click here. To stream them on Spotify, please click here. To follow them on Tumblr, please click here. To follow them on Twitter, please click here. To subscribe to their channel on YouTube, please click here. Sept. 22 - Starlight Theatre, Kansas City, Mo. Sept. 23 - Sumtur Amphitheater, Papillion, Neb. Sept. 27 - Red Rocks Amphitheatre, Morrison, Colo.
Sept. 29 - Brady Theater Tulsa, Okla.
Oct. 5 - Ryman Auditorium, Nashville, Tenn.
Oct. 8 - House Of Blues, Lake Buena Vista, Fla.
Oct. 17 - Fox Theater, Oakland, Calif.
Oct. 18 - Fox Theater, Oakland, Calif.
Oct. 20 - Crystal Ballroom, Portland, Ore.
Oct. 28 - The District, Sioux Falls, S.D. Dec. 01 - The NorVa, Norfolk, Va.
Dec. 02 - The National, Richmond, Va.
Dec. 05 - 97x Next Big thing, Tampa, Fla.
Dec. 06 - The Big Ticket, Metropolitan Park, Jacksonville, Fla.
Dec. 14 - Ace of Spades, Sacramento, Calif.
Oct. 5 -Ryman Auditorium, Nashville, Tenn.
Oct.t 20 - Crystal Ballroom, Portland, Ore.
Oct. 29 - Myth, Maplewood, Minn.
Oct. 19 - Crystal Ballroom, Portland, Ore.
Oct. 29 - The Myth, Maplewood, Minn.